Migraine problem is common in Americans. 30 percent of the population has the disease but there are higher number of victim can be found in India. 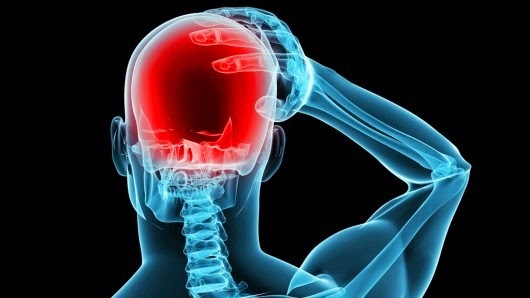 There are many people who do not even know that they have migraine. Women have more migraine problem than men. What is migraine; it is kind of a pain in the head which is intermittent. It affects a person too much. Following are the symptoms of migraine. Aura: Any object or person look around lights in the same shape is the first symptom of migraine. This pain lasts from 5 minutes to 1 hour. Changes in emotions: Your emotions are changing very rapidly during migraine. You become more angry or calm. Lack of sleep: Sleep does not come right due to migraine pain. You feel tired and do not sleep. Symptoms of sinus: You will see that people who suffer from migraine they have the symptoms of sinus. Water comes from their eyes and nose will close. In addition they have severe headache. Feel like eating chocolate: A person gets feeling to eat chocolate when they have pain of migraine. He thinks his headache will be relieved after eating chocolate. A side pain: You may have one more pain during migraine. In this you find difficulty while walking. Eye pain: You may have terrible eye pain while migraine. Whenever you raise or lower eyelids then you have horrible burning sensation. Pain in the neck: Headache increase so much that you also have neck pain. In this case you should take medical advice. Frequent urination: If you have a headache and frequent urination then it indicates that you are suffering from migraine. Yawing: Yawing is also a sign of migraine.